1. Cut the bread slices into squares and roast without using oil till crisp on a tawa, or in a microwave. 2. 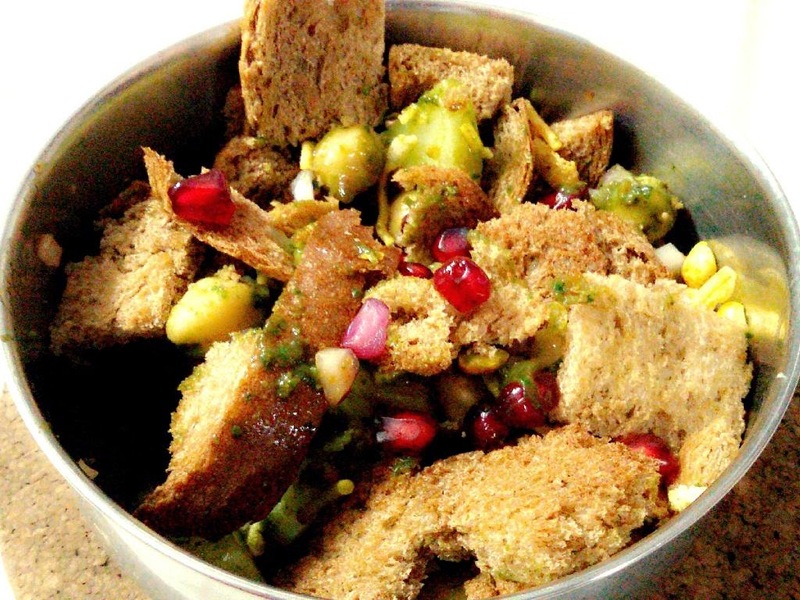 In a bowl, mix together the diced potato, chickpeas, pomegranate seeds, diced apples, boiled corn and brown bread squares. 3. Add the green chutney and ketchup and mix lightly. Sprinkle Jeera powder and chaat masala. Mix lightly again. 4. Just before serving, garnish with the Sev/farsaan, chopped onion and chopped dhaniya. Serve.